Welcome to the website of the Rapid City Catholic School System! The Diocese of Rapid City has been blessed with a rich tradition of academic excellence, which continues today at St. Thomas More High School, St. Thomas More Middle School and St. Elizabeth Seton at Terra Sancta. The heritage of our schools is traced back to 1880 with the arrival from Switzerland of the Benedictine Sisters to begin what would become St. Martin’s Academy in Sturgis. The Sisters laid a foundation steeped in religious and academic rigor that continues to serve as the core of our Catholic school system. This culture of spiritual growth and academic achievement has been passed along from generation to generation in our Catholic schools. Former students of Cathedral High School, St. Martin’s Academy and St. Thomas More share in the personal and academic excellence our current students strive to achieve. I thank you for your continued support of our schools. May God bless you and your families abundantly, and may the good work begun in each of you through Catholic education be brought to fulfillment in lives lived intentionally for the Lord. 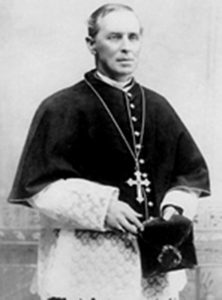 1839: Fr. Pierre Jean DeSmet, a Jesuit from Belgium, comes to America without even saying goodbye to his parents after being called to serve in the New World. Fr. DeSmet had a particular interest in working with the American Indians and worked his way across the United States, setting up missions along the way. 1876: Martin Marty, OSB, comes to America from Switzerland, coming to the Standing Rock Mission. 1877: St. Ambrose Church is built in Deadwood – probably the first church in what would become the Diocese of Rapid City. 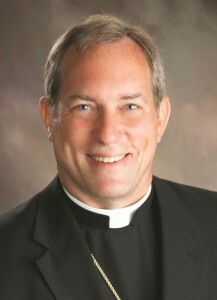 As part of the Vicariate of Nebraska, Bishop James O’Connel sends Fr. John Lonergan to minister to prospectors in Deadwood. His first Mass in the Territory is celebrated in a carpenter’s shop on May 22, 1877. Soon afterward, six sites are selected for churches and a fund drive for a hospital begins.